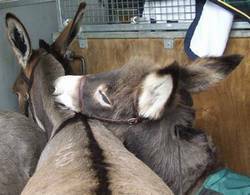 Dominick the Italian Christmas Donkey : story, words and music. You're here : Home > Italian Christmas music > Dominick the Donkey. It's Dominick, the Italian Christmas Donkey! Hear the song, get the words, sing along - you know you want to! 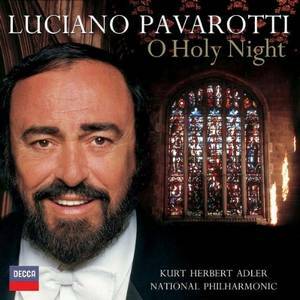 It's a real authentic Italian Christmas song then? Afraid not - our friends here in Italy have never heard of it! This is a song beloved of Italian-Americans and made famous by the lovely Lou Monte in the early 1960s. It's the story of a little donkey who helps Santa take gifts to all the children of Italy because the reindeer can't manage Italy's hills. Let's not waste any time though - here it is in all its glory! The original song version, although not an original video. There was no such thing as music videos in Lou Monte's day! Click on this pic to buy the album. On top of Dominick's head! But wait - what does that weird bit in the middle mean? "Paisans" means fellow countrywomen and men. "Cumpare sing" : dialect for ‘friend’ - so, “sing, my friend”. "A tarantell" : the shortened form of "la tarantella" - a popular Italian dance. "San’na Nicol' " : the dialect version of 'San Nicola' - Saint Nicholas or ‘Santa Claus’. And "u cucciarell' " is dialect meaning ‘the little donkey’. So now you know that, try singing along again! Here's a really fun version for you to sing with. For some reason - no-one seems quite sure why - a college fraternity at Butler University, Western Illinois, USA, adopted Dominick as their college anthem over twenty-five years ago. Between Thanksgiving and Christmas every single year, they play the Italian Christmas Donkey at full blast from the windows of their dorm. Some of their neighbours don't much like it apparently - but hey! - it's all part of the Christmas spirit! When you buy this song by following the link from our page, we make a small commission from Amazon. It doesn't affect the price you pay. 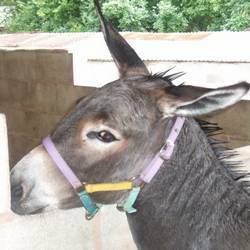 This page is dedicated to all the badly-treated donkeys of the world and because of that, we will donate half of any money we receive from the sale of 'Dominick the Italian Christmas Donkey' to the Italian Donkey Society. Click on Lou's pic to buy the album now. 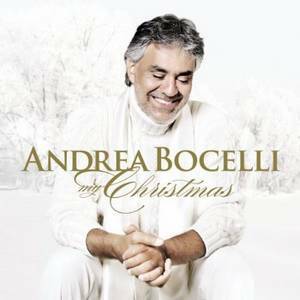 Looking for other Italian Christmas music? We review two of the best. Click on the pics to read more.